Mini USA's Trudy Hardy: "We still see that size is a big barrier for the American consumer. They are definitely thinking small, but their buyer behavior has not quite translated into buying the smallest cars." Mini USA's lineup is rapidly expanding; it's adding models and entering new segments. The latest challenge will be the launch of the Countryman crossover in early 2011 -- it will be the first time Mini has offered a four-door vehicle and all-wheel drive. Mini also is starting to market itself differently. When its sales failed to recover from a collapse in 2008 and 2009, the brand began advertising on TV for the first time in the United States. Trudy Hardy, director of marketing communications, helped plan the marketing for the birth of the Mini brand in the United States in 2002. 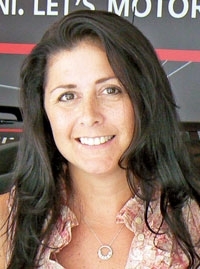 She has been with Mini USA and parent BMW of North America since 2001. Hardy, 40, spoke with Automotive News Staff Reporter Diana T. Kurylko about the challenges ahead for the expanding brand. You are about to launch a Mini crossover for the first time. Isn't the Countryman a game-changer for Mini? It definitely will be. It was tough being the smallest car in America -- now there are more players. We still see that size is a big barrier for the American consumer. They are definitely thinking small, but their buyer behavior has not quite translated into buying the smallest cars. Do you have to market the Countryman differently? We are entering a segment that will bring us a whole new subset of buyers. We will struggle with awareness issues all over again. It will be important for us that people realize this is an addition to the family. It still has a lot of the same features and has Mini characteristics. We need people to understand we are broadening our portfolio. We need to get the word out in more traditional mediums that the fun spirit of Mini will be there. Does that mean you will do some TV? This year 45 percent of our budget is cable television. We go off the air in the summertime, and with the launch with our new family, we will be back on air in September to December. And that is a new thing for us. Why did Mini finally decide to advertise on TV? It is really helping us with the awareness factor. I love print, but it made a lot of sense to use TV to get out the message to a broader audience. Some of the buying characteristics changed. The timing was right for us this year. What message did you need to get out? Was it Mini's affordability? And where did you advertise on television? We advertise on ESPN, news programming like MSNBC, music stations like MTV and VH1 and some of the gadget-type programs. We have a very broad cable buy. Communicating value in a fun, Mini way is still very important. Our TV spot called "Bad Dad" is about a father in the showroom with the wife and two kids. He is working with the salesperson to haggle a good price, but he ends up looking for things that are already standard on the Mini. It is done in a very cheeky way, but it allows us to communicate our product substance and great value proposition. Why have you done unconventional approaches for Mini? When we first launched, we knew we had to do something that would cut through the clutter. We stuck to print inserts and outdoor spectaculars -- not the traditional vinyl applied to a board. We were putting live vehicles on the board, making it look like Mini blew palm trees over. We had flames shooting off billboards. We were going for very high impact and high-traffic areas to create buzz around the ads themselves. We were doing memorable inserts, games stuck inside magazines and sticker sets -- they were heavily focused on building the brand and getting Mini out there. Did you do this because it was cheaper than traditional print and television advertising? It was for breakthrough rather than efficiencies. We went a little smaller scale but picked very high impact and high-visibility placements. Obviously, that strategy needs to evolve as your business grows. You watch some people come in and duplicate some of the things you are doing, so you always need to move forward. We try to stay a step ahead. Tell us about some Mini marketing efforts. For this year, in addition to TV we had a big focus online and a lot of social media activities and some events. With the economy the way it is, a lot of manufacturers have gone back to basics and cut out event marketing and have scaled back. While we are not on TV this summer, we had to find other ways to round out the media mix. How much has your budget been cut because of the sales slump and recession? It has not been cut. We actually have the good fortune of being part of a good company that believes in marketing and communication and making sure that we keep up those levels of awareness. What percentage of your budget will be spent on the Countryman? Countryman will be important for us. It could be up to one-third of our sales mix for 2011. Most of our efforts will begin in 2011. Your sales were up for several years and now are on the decline. Has your marketing changed gears to pump up sales? We are making sure we are communicating the value proposition of Mini. We have been more tactical this year in supporting maintenance and retail value. We make sure we support all the messages the consumer needs to hear. Emotion is taking a back seat. Consumers are value-shopping more -- even for Mini. With the Countryman, you'll be competing against volume makes and their small crossovers. Those companies grossly outspend you. How do you compete with that challenge? There is a subset of people that are very attracted to the Mini brand, and for one reason or another it did not fit into their life. We are now giving this consumer an option that will work for them. Hand-raisers have already come to the Web site, and they have waited for a Mini that can offer them the practicality that they need and the uniqueness that they so desire. Who does Mini compete against in the United States? In Europe it is a well-defined segment. Here we compete with Mazda3, Volkswagen Golf and Jetta and Toyotas and Hondas. You can't believe the things people trade in for a Mini. We have had people trade in Porsches. It is a hot question. What percentage of your marketing is the Internet, and how do you use it? This year because of the presence in TV, we are about 24 percent. It has been higher in the past. It is a big part of our strategy, and a lot of our ideas start in the digital world and cascade into traditional media. We have been as high as 39 percent. When Mini launched in 2002, we had a great opportunity to be active in the digital space from the start, and it was easy to get our dealers into that. We had a clean sheet of paper, and it made it easier for us.